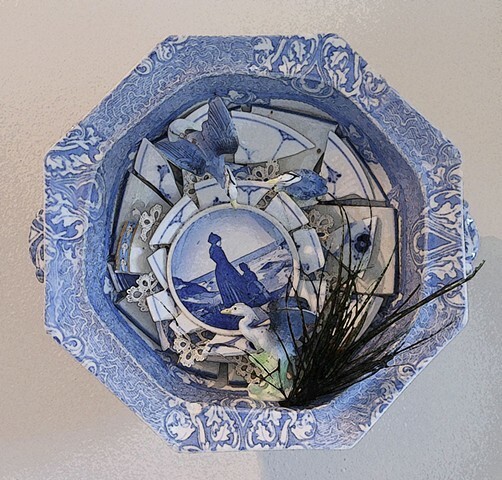 "Jutland" began with the finding of the vintage blue bowl. It seemed to quickly need the addition of the found storks and the old Danish blue scene plate. This one will stay in the Dickey/Olsen family as a reminder of our Danish heritage.